Another year of movies is ahead of us; 12 months of films, from the blockbuster to the bizarre. With that in mind, we’ve pored over the release calendar and scoured the planet for news and details to bring you this list of the most anticipated 2019 movies. The movie is directed by M Night Shyamalan and stars Bruce Willis, Samuel L Jackson, James McAvoy, Sarah Paulson and Anya Taylor-Joy. It is expected to release on January 18, 2019. Kangana Ranaut’s Manikarnika: The Queen of Jhansi is the first big Bollywood release for 2019. The historical film is directed by Krish and Kangana. It is based on the life of Rani Laxmibai of Jhansi and is releasing on January 25, 2019. Directed by Rajkumar Rao, the film is the first time that father-daughter duo Anil Kapoor and Sonam Kapoor will be seen together on screen and is set to break stereotypes and stigmas. The movie will hit cinemas on February 1, 2019. The gender-swapped take on Mel Gibson’s comedy What Women Want stars Taraji P Henson, Wendi McLendon-Covey and Max Greenfield. It is directed by Adam Shankman and is expected to hit theatres on February 8, 2019. The sequel is directed by Mike Mitchell and Trisha Gum and stars Chris Pratt, Elizabeth Banks, Channing Tatum, Will Arnett and Tiffany Haddish. It is expected to hit theatres on February 8, 2019, as well. The Ranveer Singh, Alia Bhatt starrer is set to take you on a journey of the underground hip-hop scene in Mumbai this Valentines Day February 14, 2019. The movie is directed by Zoya Akhtar. Starring Jay Baruchel, America Ferrera, Cate Blanchett, Kit Harington and Kristen Wiig, the final chapter of How to train your dragon is directed by Dean DeBlois and will hit theatres on February 22, 2019. Indie co-directors Anna Boden and Ryan Fleck take the helm as Captain Marvel becomes Marvel’s first female superhero to get her own solo movie. The movie stars Brie Larson, Lee Pace and Samuel L Jackson. Its slated to release on March 8, 2019. Jordan Peele is writing and directing another thriller as a follow-up to his 2017 smash hit Get Out. It will star Lupita Nyong’o, Elizabeth Moss, and Black Panther‘s Winston Duke among others, which already makes this sound like a really promising project. It is expected to release onMarch 15, 2019. Oscar-winning director Richard Linklater is set for another promising project with a strong supporting cast. The movie stars Cate Blanchett, Billy Crudup, Kristen Wiig, Judy Greer and Laurence Fishburne and is expected to hit theatres on March 22, 2019. Directed by Tim Burton, this is one of the three Disney movies getting live-action treatment this year. Starring Colin Farrell, Eva Green, Michael Keaton and Danny DeVito, the movie is expected to release on March 29, 2019. The much-awaited Marvel movie which will mark the end of the Marvel Cinematic Universe’s “phase three,” will probably say goodbye to a few more characters. The movie starring everyone from the Marvel Universe is directed by the Russo brothers and is expected to hit cinemas on April 26, 2019. Our favourite Pokémon puts on his Sherlock Holmes hat and is ready to take you on a journey. The movie Ryan Reynolds, Justice Smith, Kathryn Newton, Ken Watanabe and is directed by Rob Letterman. It is expected to release on May 10, 2019. The first movie launched actors Alia Bhatt, Varun Dhawan and Siddharth Malhotra. Seven years down the line, the sequel will launch Ananya Panday and Tara Sutaria. The film also stars Tiger Shroff in the lead role and marks Punit Malhotra’s directorial debut. It will hit cinemas on May 10, 2019. With Guy Ritchie making his family entertainment debut, Aladdin is another Disney movie getting live-action treatment this year. The movie stars Will Smith, Naomi Scott, Nasim Pedrad and Mena Massoud and will hit cinemas on May 24, 2019. Producer Simon Kinberg makes his directorial debut, while James McAvoy, Michael Fassbender, Jennifer Lawrence, Sophie Turner and the rest of the younger mutants return for this fourth entry in the soft-rebooted series that began with X-Men: First Class. The movie will hit cinemas on June 7, 2019. Directed by Josh Cooley, making his feature-length debut, the fourth Pixar franchise is expected to hit theatres on June 21, 2019, featuring the main cast including Tom Hanks, Tim Allen, Annie Potts and Laurie Metcalf. Lion King is the third movie to get live-action treatment and is directed by the live-action Disney adaptations king Jon Favreau. The movie stars Donald Glover, Beyoncé Knowles, Seth Rogen, Chiwetel Ejiofor, James Earl Jones and Alfre Woodard. It is expected to hit cinemas on July 19, 2019. Quentin Tarantino is back with yet another film this year starring Leonardo DiCaprio, Brad Pitt, Margot Robbie, Al Pacino, Dakota Fanning and James Marsden. Knowing Tarantino we know that this will be an epic movie and of course the epic cast. It will hit cinemas on July 26, 2019. Directed by Wajahat Rauf, the third instalment promises to provide a complete entertainment package to its viewers. Penned by Yasir Hussain, who also stars in the film along with Shahzad Shaikh, Ayesha Omar, Kubra Khan and couple Zara Noor Abbas and Asad Siddiqui. The movie is expected to hit cinemas in August 2019. With Jared Leto reprising the character from 2016’s Suicide Squad, this origin story for the Clown Prince of Crime will star multiple Oscar nominee Joaquin Phoenix as the titular criminal mastermind with Todd Phillips set to direct. The movie will release on October 4, 2019. Directors Conrad Vernon and Greg Tiernan are set to bring us the animated version of The Addams Family, which features the voices of Oscar Isaac as Gomez and Charlize Theron as Morticia. With original artwork by creator Charles Addams, the movie will hit theatres on October 11, 2019. Director Matthew Vaughn is going to close out his Kingsman franchise with a third instalment with Taron Egerton and Colin Firth presumed to return. The movie will hit cinemas on November 8, 2019. The original directors Chris Buck and Jennifer Lee, as well as original stars Kristen Bell, Idina Menzel, and Josh Gad, are set to bring you the sequel of the hit-animated movie on November 27, 2019. Director JJ Abrams is set to bring to you the finale of the Star Wars franchise starring Daisy Ridley, Adam Driver, Oscar Isaac, John Boyega and Lupita Nyong’o. The movie will release on December 20, 2019. Directed by LadyBird famed Greta Gerwig, the film stars Meryl Streep, Emma Watson, Saoirse Ronan, Timothée Chalamet and Florence Pugh. It is expected to break your hearts as it hit cinemas on December 25, 2019. 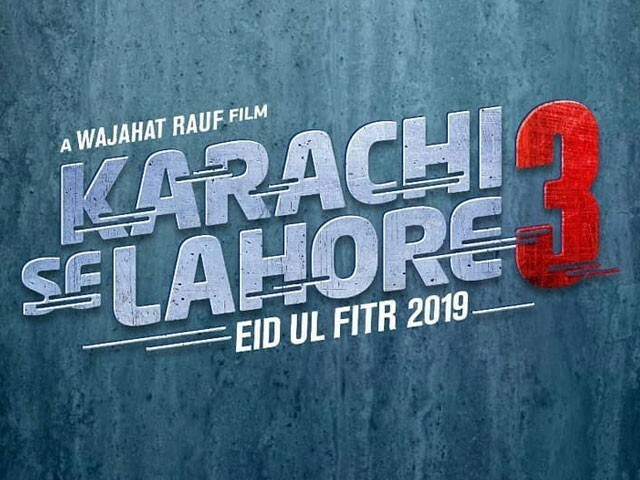 The much-hyped movie is expected to hit cinemas on Eid 2019 and is expected to be a game changer for the Pakistani film industry. The movie directed by Bilal Lashari features a star-studded cast including Fawad Khan, Hamza Ali Abbasi, Mahira Khan and Humaima Malick to name a few. Directed by Asim Raza, Parey Hut Love will feature Sheheryar Munawar and Maya Ali pair up for the first time in the lead roles. The movie will also feature Zara Noor Abbas and is expected to hit cinemas this Eid ulAdha.